The International Pancake Day Board is announcing changes to the Talent Show effective for this year’s show slated to take place Saturday and Sunday, February 25 & 26, 2017. “One of the first changes that you will notice is that we will be having a two day show with live auditions on Saturday, with the 25 act Finals Show on Sunday afternoon. This will replace the video auditions that have taken place the past few years” said Mark Strange, Pancake Day Board Member. “Our goal is to modernize and update the Talent Show format, making it sort of like a mini Voice or America’s Got Talent type of show. We will be offering an advance combo ticket for both the Saturday and Sunday Show for $10 or $7 for a single Show ticket. The Preliminary Show on Sat. will have an MC, judges and will be a real show like the finals” said Strange. “Doug Brewer, myself and a few other Board Members have been working on this new format, and have laid out a plan for continued upgrades over the next few years. 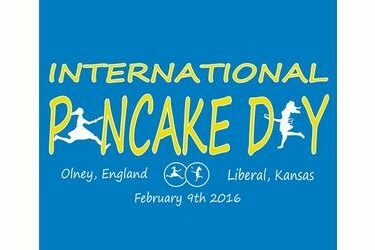 We are excited to revamp one of our most popular events of the weekend surrounding Pancake Day” added Strange. There are also many rules changes, primarily allowing contestants that are in group acts to be able to enter in more individual and solo acts. Watch for these rule changes along with entry forms and details that will be available after the Holidays on the Pancake Day website: pancakeday.net or for immediate information requests, you may email JoAnn Combs at: [email protected].